We have spent a wonderful time all together, since this crazyness started and Josu Maroto decided go ahead with it, tones of mail have arrived into my mail, thousands of discussions and milions of happy thoughts have come into my mind. Thanks, thanks and thanks to all of you who are the best persons I have ever met. 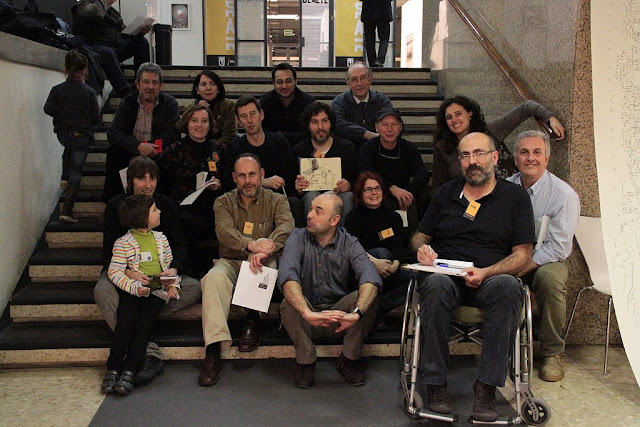 Estic preparant una exposició que s'ha organitzat des de Usk Spain. La veritat és que em fa més il.lusió el veure a la gent, el fet d'anar a Madrid i també, per què no dir-ho, posar alguns dibuixos dins d'un marc, que no la mateixa exposició. De moment ja he emmarcat aquestes dues bicicletes. També portaré dos més grans i algun quadern. Estoy preparando una exposición que se ha organizado desde USk Spain. La verdad es que me hace más ilusión el ver a la gente, el hecho de ir a Madrid y también, por qué no decirlo, poner algunos dibujos dentro de un marco, que no la misma exposición. De momento ya he enmarcado estas dos bicicletas. También llevaré dos más grandes y algún cuaderno. 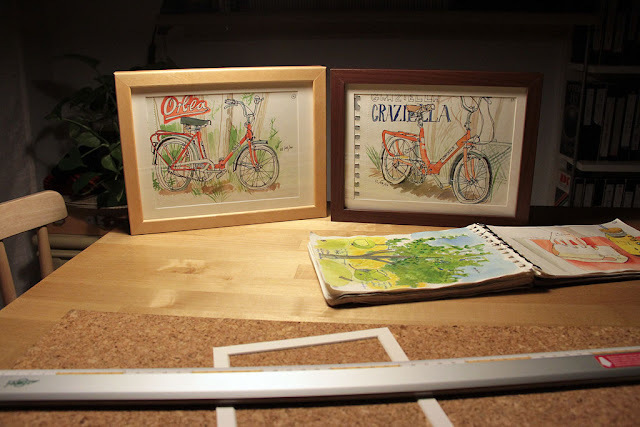 I'm preparing an exhibition that was organized from Usk Spain. The truth is that it makes me more excited to see some members, the fact of going to Madrid and also, why not say it, put some pictures in a frame, more than the exhibition itself. At the moment I have two bikes framed. Also I will take two largest frames and one notebook.